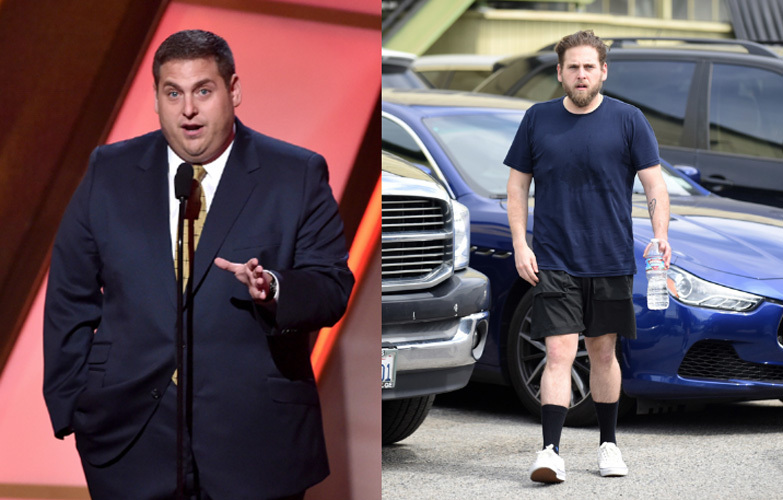 Jonah Hill must really be feeling motivated in the gym these days. After debuting a much slimmer figure back in March, the Academy Award-nominated (Moneyball, The Wolf of Wall Street) actor has continued his weight loss quest. A few months later, Hill’s physique looks almost unrecognizable compared to his burly figure in films like Superbad, The Sitter, and This Is the End, making for quite the body transformation. Hill has been continuing his workouts in the gym and now is showing some very solid arm definition in the most recent pics. Hill’s weight has fluctuated back and forth from lean to full-figured over the past few years: He slimmed down for the action-comedy 22 Jump Street in 2014, but gained 40lbs for his role in War Dogs in 2016 to play real-life arms dealer Efraim Diveroli alongside former Men’s Fitness cover star Miles Teller. It’s unclear if this current weight change is tied to any film role or if Hill just wanted to get lean for summer, but Hill has a pretty busy slate coming up anyway. Hill will start filming the Netflix TV series Maniac in August, alongside his Superbad co-star Emma Stone; a potential 21 Jump Street/Men in Black crossover with Channing Tatum; a biopic on Atlanta Olympics bombing figure Richard Jewell, potentially alongside Wolf of Wall Street pal Leonardo Dicaprio; and he’s already hard at work on his directorial debut, Mid ‘90s, which stars Michelle Williams. Hill is a busy guy, but not too busy to get into the gym. Here’s 13 looks at Hill’s new figure—just the motivation you need to get your workout in gear.